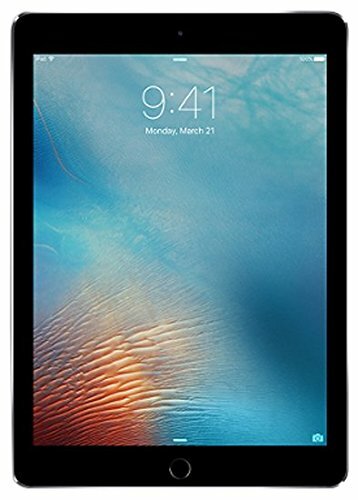 Apple returns to the classic iPad form factor with the space gray iPad Pro 9.7 inch. The display features a 2048 x 1536 resolution at 264 pixels per inch (PPI). Using a DCI-P3 color space, the iPad Pro display offers a wider color gamut than standard RGB displays. And with more available colors, the pictures will appear more bright and reveal greater detail. The Retina Display brings greater contrast, more uniform brightness, and enhanced energy efficiency through photo-alignment technology, an oxide TFT panel, display lamination, an anti-reflective coating, and a variable refresh rate. The iPad Pro also features True Tone display, that uses advanced four-channel ambient light sensors to dynamically adjust white balance and brightness.